The electronic cigarette market has exploded in recent years and as a result we’ve seen hundreds of new brands pop up, all claiming to be the go to supplier for all your vaping needs. As vaping enthusiasts ourselves, we struggled to find a product that truly delivered on it’s promise of premium quality. It’s from our own need of superior quality that Unlit was born. It’s not just our company, it’s our passion. 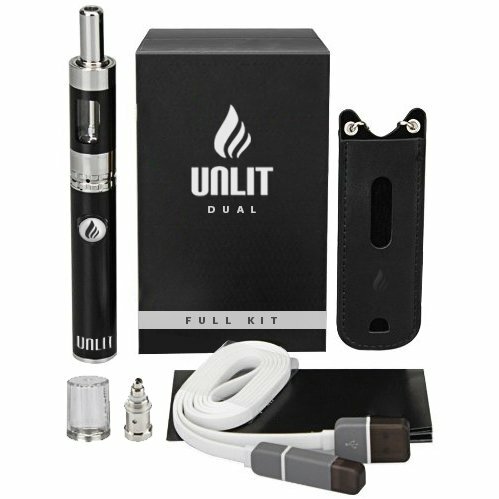 We proudly present to you, our truly innovative electronic cigarette, DUAL. We’re so confident that you’ll fall in love with our product, that we offer a no questions asked money back guarantee to all customers. Use our handy dual charge cable with Duals innovative Apple and Android charging ports. Safety Warning Warning: This product is intended for use by persons 18 or older, and not by children, women who are pregnant, those at risk of heart disease, high blood pressure, diabetes, and those taking medication for depression or asthma. This product is sold purely for recreational purpose. It is not a smoking cessation product and has not been fully tested as such.